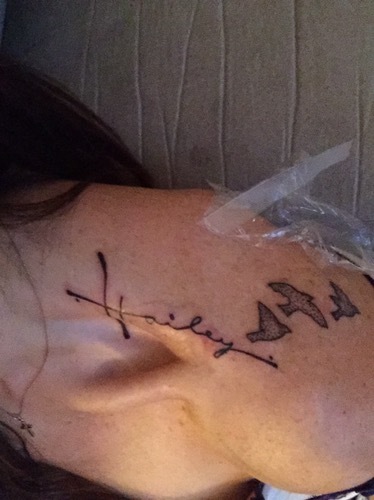 My first tattoo since before Hailey and I figured this was most appropriate. I had a girl from Instagram draw it for me and it looks awesome!!!!! 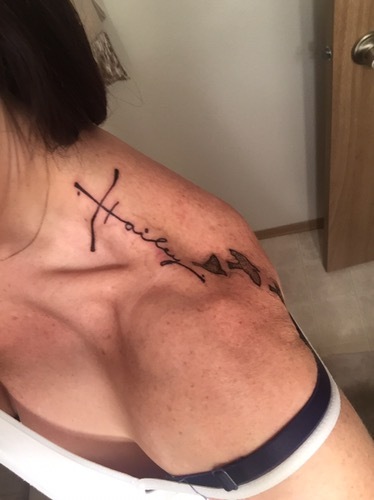 I’m not big on name tattoos but I felt my daughters name was the right name to put. The other shoulder will be for kid #2 in future. 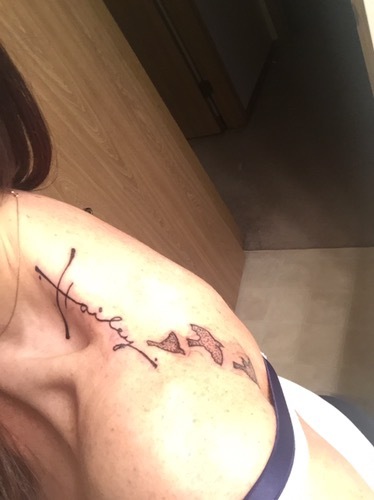 Anyone else have their kids names as a tattoo ?